Avocado was all like, “Look at me, I’m the good fat!” and Butter was like, “Show-off!” Trendy, popular and a bit of an overachiever in the health department, avocado is like the homecoming queen of the fats parade. It’s actually a single-seeded berry native to Mexico, but at 322 calories and 29 grams of fat — 10 to 20 times what you’ll find in any other item in the produce aisle — the avocado can arguably be considered more of a fat than a fruit. Apples are so cliche. Researchers now say it’s an avocado a day that can really keep the doctor — and your cholesterol levels — at bay. One study in the Journal of the American Heart Association put 45 overweight people on one of three different cholesterol-lowering diets for five weeks. One diet was lower in fat, providing 24 percent of total calories (11 from monounsaturated fats), and didn’t include an avocado. A second, non-avocado diet was more moderate in fat, providing 34 percent of total calories (17 percent from MOFAs). The third was equally moderate in fat, at 34 percent, but included one whole Haas avocado per day. The result? Low-density lipoprotein (LDL), the “bad” cholesterol, was 13.5 mg/dL lower among the avocado dieters — enough to significantly reduce the risk of heart disease. LDL was also lower on the moderate fat diet without the avocado (8.3 mg/dL lower) and the lower fat diet (7.4 mg/dL lower), but the results were not as striking. Researchers attribute the results to avocado’s monounsaturated fat content (a type of heart-healthy fat molecule that has one unsaturated carbon bond), which may play an important part in lowering elevated cholesterol — a factor in insulin resistance, excess weight and obesity. So grab a spoon, a sprinkling of kosher salt or spice if you so wish, and get snacking! Do a little belly dance! Make a little lunch! And get down on avocado oil. Researchers say swapping your cooking and finishing oils for varieties like avocado oil that are rich in monounsaturated and oleic fatty acids can spot-reduce abdominal fat, which may decrease the risk for metabolic syndrome — the name for a combination of negative health markers associated with weight gain. A recent Penn State study found people who consumed 40 grams (about 3 tablespoons) of high-oleic oils on a daily basis for four weeks lowered their belly fat by 1.6 percent compared to those who consumed a flax/safflower oil blend, which is comparatively high in polyunsaturated fat. A second study in the journal Diabetes Carefound similar results: A diet rich in monounsaturated fat may actually prevent body fat distribution around the belly by down regulating the expression of certain fat genes. One tablespoon of mild and slightly nutty-tasting avocado oil is about 120 calories and 10 grams of monounsaturated fat — a nutritional profile almost identical to extra virgin olive oil. But unlike EVOO, avocado oil has a very high smoke point, so you can use it for sautés and stir-frys without risk of creating free radicals that can harm your health. Low-calorie, vitamin-rich and chock-full of important nutrients that can shrink your waist, vegetables are a dieter’s best friend — but you won’t get much benefit from a garden salad without adding a little fat, researchers say. And when it comes to fat, the type found in avocados reigns supreme. In one study, published in the journal Molecular Nutrition & Food Research, researchers fed participants salads topped with saturated, monounsaturated and polyunsaturated fat-based dressings and tested their blood for absorption of fat-soluble carotenoids — disease fighting compounds associated with improved weight and fat loss. The result? Veggies topped with monounsaturated-fat required the least amount — just 3 grams — to get the most carotenoid absorption, while saturated fat and polyunsaturated fat dressings required higher amounts of fat (20 grams) to get the same benefit. Another study in the Journal of Nutrition found that adding avocado to salad allowed participants to absorb three to five times more carotenoids. Give your greens the ultimate nutrient boost with a dollop of flavorful guacamole, a few slices of fresh avocado, or a tablespoon of avocado oil-based vinaigrette. Those dressing-on-the-side folks don’t know what they’re missing. There’s a war going on inside your body! The free radicals have launched an attack on the mitochondria and it’s sabotaging your metabolism! What the what? Free radicals are destructive rogue oxygen molecules — natural byproducts of metabolism — that trigger various chain reactions in the body that destroy cells and DNA, causing all kinds of health problems. Antioxidants in fresh fruits and vegetables can help neutralize some free radicals, but they can’t reach the mitochondria — base camp for the free radical army. And that’s a problem. When your mitochondria aren’t working properly, your metabolism runs less efficiently. Enter: Avocado. New research conducted in Mexico found that monounsaturated-rich oil pressed from the fruit can help mitochondria survive attack. Researchers say the results jive with low-disease rates in Mediterranean countries where olive oil — nutritionally similar to the avocado — is a diet staple. In fact, study authors predict avocado oil could eventually be referred to as “the olive oil of the Americas.” So put down the white flag and pick up a green fruit. It’s good for your metabolism and patriotic to boot. A scoop of guacamole may be one of the most effective hunger-squashers known to man. In a study published in Nutrition Journal, participants who ate half a fresh avocado with lunch reported a 40 percent decreased desire to eat for hours afterwards. At only 60 calories, a two-tablespoon serving of guacamole (on top of eggs, salads, grilled meats, etc.) can provide the same satiety benefit with even more of a flavor-punch. Just 86 the chips and be sure when buying store-bought guac that avocados actually made it into the jar. Believe it or not, many are made without the real fruit! We love Wholly Guacamole as a store brand, and they’ve just released perfectly portioned “minis” so you don’t have to worry about going overboard. You know that friend who’s always thinner, lighter and healthier than you? What’s his secret? Not money, not genes… perhaps just regular consumption of avocado, according to the National Health and Nutrition Examination Survey (NHANES), a program of the Centers for Disease Control and Prevention (CDC). 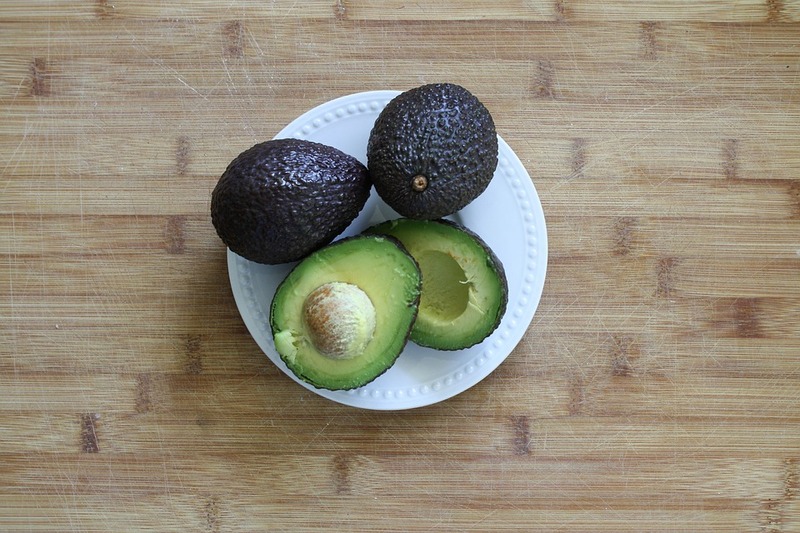 The survey results, published in Nutrition Journal, found that eating half a medium-sized avocado on a daily basis was highly correlated with improved overall diet quality and a 50 percent reduced risk of metabolic syndrome. Not only did the avocado eaters report a lower body mass index and smaller waist circumference, they also consumed significantly more fruits and vegetables, and fiber and vitamin K — nutrients associated with weight loss. Avocado: the gateway drug to a healthier, leaner lifestyle. Sure, avocado’s got all the right junk in all the right places, but fat isn’t the only thing the fruit has going for it. An avocado also provides nearly 20 vitamins, minerals and phytonutrients essential for healthy weight management, including 14 grams of satiating fiber and 66 percent (60 micrograms) of your daily need for vitamin K — a nutrient that helps regulate sugar metabolism and insulin sensitivity. One study in the journal Diabetes Care found men and women whose vitamin K intake was among the highest 25 percent of subjects showed a 19 percent lower risk of developing diabetes over the course of 10 years compared with those whose intake was among the lowest fourth. Leafy greens are an even richer source of the vitamin, so pair a wedge of creamy avocado with your side salad and you’re bound to get your fill. Stabilizing blood sugar has never been so tasty. Pre-workout supplements claim to give you that extra boost you need to sweat it out for just a little longer than usual. According to researchers, eating avocado can provide the same energy boost, naturally. A study in the American Journal of Clinical Nutritioncompared the effects of a three-week diet high in palmitic acid (saturated fat) to an equi-caloric diet high in oleic-acid (monounsaturated fats). The subjects followed each diet for three weeks at a time, during which researchers assessed physical activity and metabolic rate after eating. The results? Physical activity was 13.5 percent higher during the high oleic-acid diet and post-meal metabolism was 4.5 percent higher as compared to the palmitic stretch. Bottom line: swap fried foods, baked goods and butter for snacks and oils that are high in monounsaturated fat like fresh avocado or avocado oil for a clean energy boost that keeps your metabolism burning, even after you’ve left the gym.